Thanks for all of the love on Instagram with my outfit for movie night. I really love that top. Size down, guys, but it's so cute over leggings. This duo was perfect for snuggling in a dark theater for a mid-week movie night date. Ian and I started off with sushi and then went to watch It (guess whose choice that was). My husband lovvvves horror flicks. I do have to say that it was spooky and creepy but not really disgusting/gory. I can't do disgusting/gory. I don't like to see things that I can't unsee -- know what I mean? 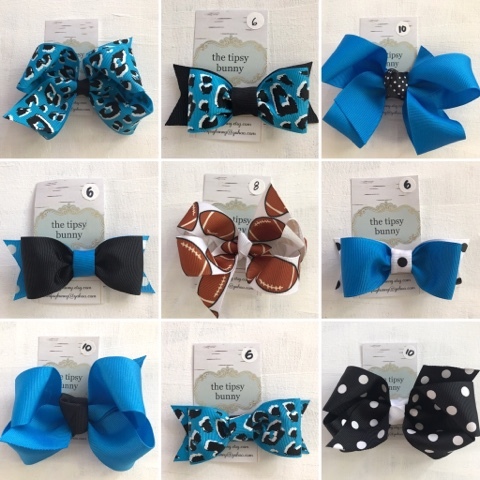 I've been uber busy this week with getting Panthers bows out to local mamas. 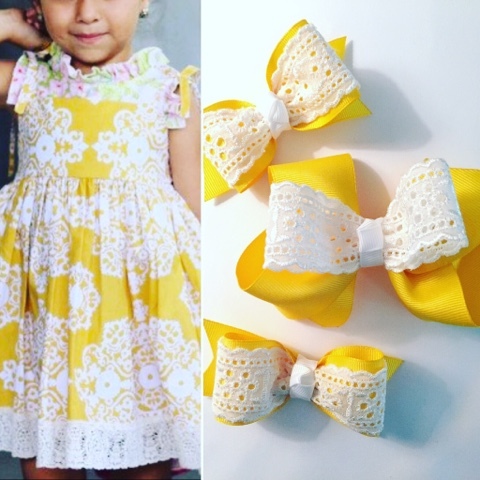 These bows are fun to make for me and they are also a great way for me to get a little fall shopping money. I advertise these on a local FB moms group here, but if I have any left over I will post them on Instagram! You can find us HERE. Okay, so we may have inherited leaky pipes and gobs of brass fixtures with our house, BUT we also inherited some absolutely stunning hydrangeas and gardenias. 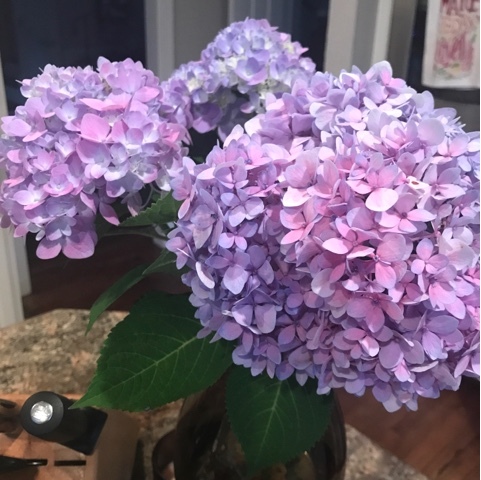 Anytime you see these lovely violet hydrangeas in my kitchen, they have been cut from our side yard. We really hit the floral jackpot with these lovely plants! Short hair updo ... check this gorgeous style out! We don't have any really chi-chi events coming up soon, but I could even see a more casual version of this hairdo at a girls night out or on a date night. Or just to conceal unwashed hair, ha! 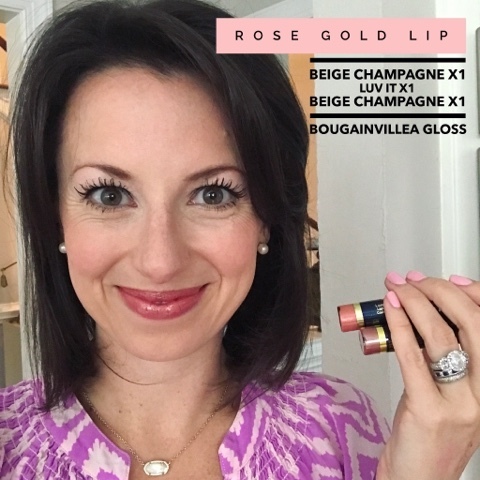 This week I tried out the rose gold lip trend that's making the rounds. I love how it turned out! If you have a peachy-pink color and a shimmery beige, just layer them for this look. Okay, off to breakfast with the kiddos and then the Nature Museum! Happy Friday to you all! Violet hydrangeas make me smile--they are just so pretty! 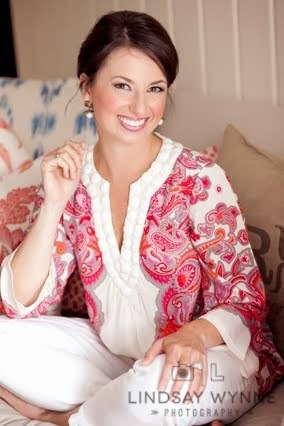 Loving your fall look! I am loving the Panther bows - how cute!! What a great idea since you're in that area!! LOVE that outfit and those hydrangeas are absolutely gorgeous! Cute date night outfit. I LOVE hydrangeas. One of my absolute favs. I'd love to have the back my backyard totally lined with them some day. Wouldn't that be gorgeous??? Happy Weekend! Rose Gold Lips ! YASSSSS :) Love Lipsense, it's the best stuff. 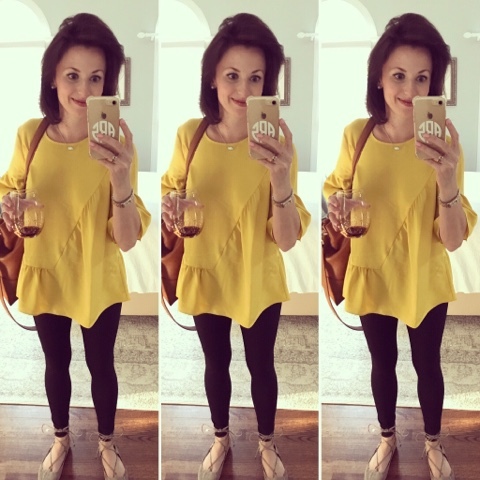 I just love that date night top! that top turned out to be SO cute, didn't it!!! i love!!! Five On Friday! Fall Fall Fall! 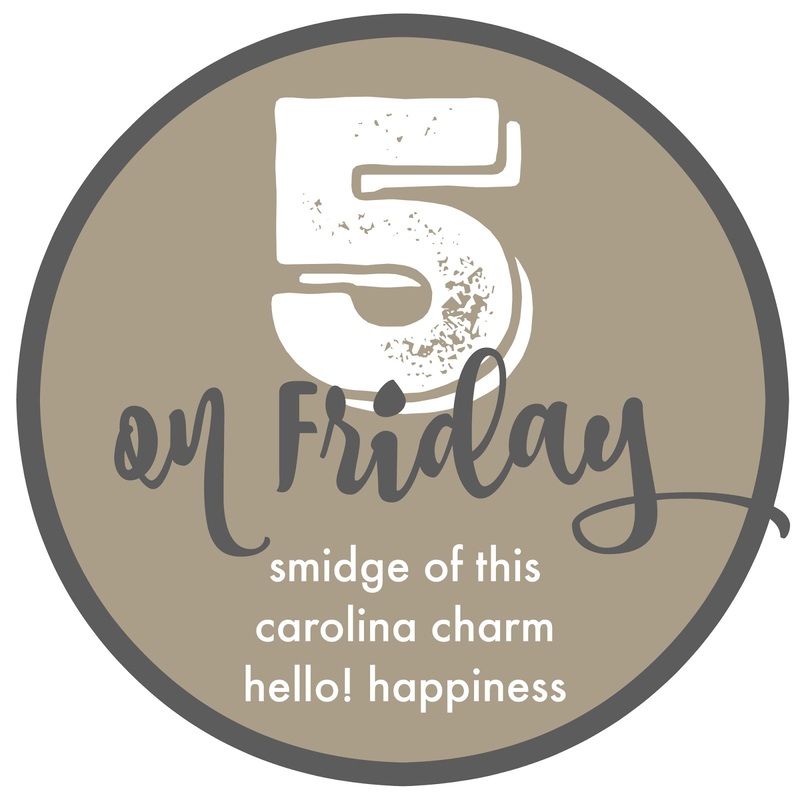 It's Friday ... FIVE on FRIDAY! The First Day ... That's A Big Thing!